LIMERICK secondary school Crescent College Comprehensive has launched a campaign to stop using single-use plastics. 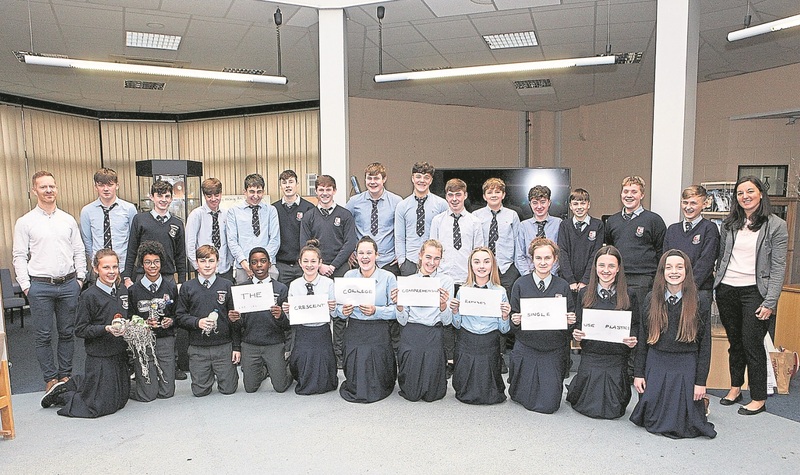 Students ranging from first to fourth year gathered for a recent workshop organised by sustainability expert Susan Adams accompanied by construction studies teacher Bill Sheehan. The lecture informed the students of the damage caused by single-use plastics in recent years such as making up to 60 to 90% of all marine debris. They then learnt what the future may hold if the poor disposal of plastics continues, and what can be done to rectify the mistakes for a cleaner future. Following those talks, the students were divided into groups to come up with an action plan for their school on how to implement a single-use plastics ban coinciding with the EU’s ban on the harmful material which will be enacted in three years. Mr Sheehan believes his students are more capable for the job than teachers and staff to provide an effective environmentally-friendly school for their fellow peers. Mr Sheehan commented: “It’s such a big project, I’m only one voice, I can’t be telling them what to do, they’ll all listen to their friends before they listen to me. “There was a group of first years in a group, and within twenty minutes they wanted to organise a petition to handout to all the other students in the school. ”They wanted to inform them of what they wanted to do and also get some feedback for the best course of action,” he explained.